What they do all day? This hands-on job can be a dream for animal lovers. Vets are the lifesavers when Fido eats something bad off the street or Fluffy jumps off the roof. But it takes a strong stomach -- at times, the job requires vets to perform euthanizations and some other unpleasant tasks -- and a lot of schooling. --J.A. 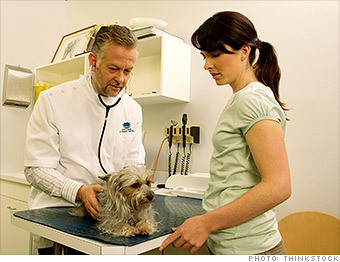 Do Veterinarians have great jobs, or what?